Adam Hickey, deputy assistant attorney general at the Department of Justice, told Federal News Network in an interview published Friday that DOJ is ramping up its efforts to recruit lawyers with background in modern technologies amid the increasing cyber threats facing the federal government. FBI Director Christopher Wray appeared before the House Appropriations Committee’s commerce, justice, science and related agencies subpanel to discuss the bureau’s budget request, FCW reported Thursday. According to budget documents, the bureau seeks $70.5 million in additional funds to build up cyber tools and data-sharing abilities as well as hire 33 additional employees. The Military Sealift Command unveiled a new training facility at Joint Base Langley-Eustis intended to hone newly employed civil service mariners. The Military Sealift Command Center for Excellence opened with a ribbon cutting ceremony on March 25, the U.S. Navy said Monday. The service branch also plans to add damage control and firefighting simulators to the facility. The White House received 1,500 applications for an initiative that seeks to provide cybersecurity training to federal government employees, Nextgov reported Friday. 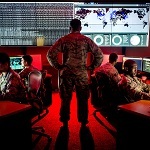 The U.S. Air Force and Army issued solicitations seeking industry support for new initiatives to expand the cyber training environment for U.S. service members, Fifth Domain reported Tuesday. The Army is aiming to build new cyber ranges in Orlando and Fort Walton Beach, Fla., Charleston, S. C., and in Patuxent River, Md to increase cybersecurity training and certification events for its troops. The U.S. Navy plans to resume deployment of its Littoral Combat Ships this fall following a delay in 2018 due to challenges in manning and advanced training, USNI News reported Monday. 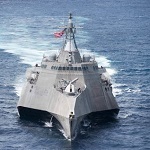 Vice Adm. Richard Brown, commander of Naval Surface Forces, said the service branch intends to return three LCS before fiscal year 2019 ends in September. The U.S. Army's Aviation and Missile Research, Development and Engineering Center has developed a new training environment for UH-60 Black Hawk helicopter crews, DVIDS reported Monday. The Collective Aircrew Proficiency Environment updates the three-year-old Black Hawk Aircrew Trainer and allows crews to train in a platform where visuals and audio can be sensed concurrently. The U.S. Navy plans to inaugurate a new virtual training facility that would be open to industry, the government and the academe, National Defense Magazine reported Friday. 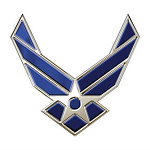 The facility, consisting of 14 workstations, would begin operations in January 2019 at the Orlando-based Naval Air Warfare Center Training Systems Division. NASA and Boeing have partnered with the Air Force Research Laboratory to test the Defense Department's first human-rated centrifuge built with interchangeable cockpits to support training for both fighter jet pilots and astronauts. Brig. Gen. DeAnna Burt, U.S. Air Force Space Command director of operations and communications, recently announced that the Undergraduate Space Training program is being expanded from 77 days to 111 days, Federal News Network reported. Trainees will also be taught to visually identify threats in space. This new requirement will necessitate top secret clearance for those undergoing UST.